Mahesh Babu and wife Namrata Shirodkar along with their children Gautham and Sitara are on a vacation in Paris and their vacation album is made up of all things nice. Namarat Shirodkar has been documenting her family's best vacation moments of Instagram, which will give anyone fam-jam goals. 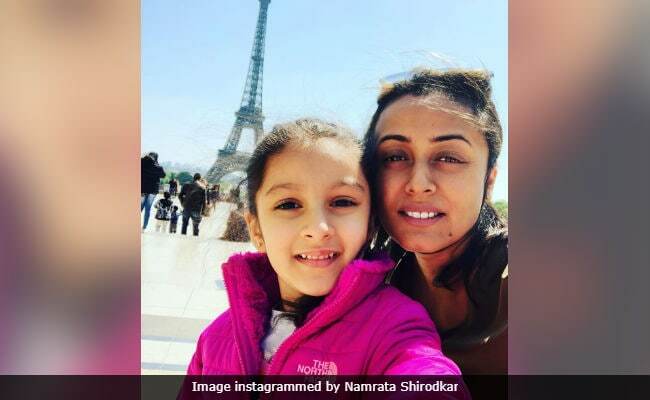 In one of her latest pictures, Namrata Shirodkar features in a selfie with her daughter against the backdrop of the "monstrous Eiffel tower." She wrote: "Monstrous Eiffel stands tall behind us... Sunny Paris." Namrata Shirodkar is clearly in love with the Parisian streets and summer. Take a look at the photos Namrata Shirodkar shared on Instagram from Paris. Mahesh Babu is basking in the success of his latest film Bharat Ane Nenu which fared well at the box office. Bharat Ane Nenu had collected over Rs. 100 crore worldwide in just two days. In Bharat Ane Nenu, Mahesh Babu plays the role of a strong-willed and honest chief minister of Andhra Pradesh, who will go to any lengths to secure the future of his people. Bharat Ane Nenu is directed by Koratala Siva and both the director and the lead star have expressed their desire to make a sequel. However, no formal announcement has been made about the sequel. Mahesh Babu met Namrata Shirodkar on the sets of 2000 film Vamsi and they fell in love. 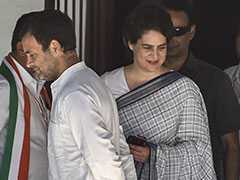 After dating for almost five years, they got married in 2005, after which Namrata quit films. 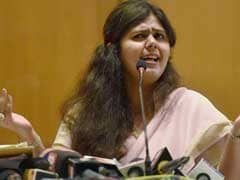 She was last seen in Bride And Prejudice. Mahesh Babu and Namrata Shirodkar are parents to 12-year-old Gautham Krishna and 5-year-old Sitara.